There’s still some time till the 2019 Jeep Grand Wagoneer hits the roads, but it’s good to know that Jeep engineers started tests. 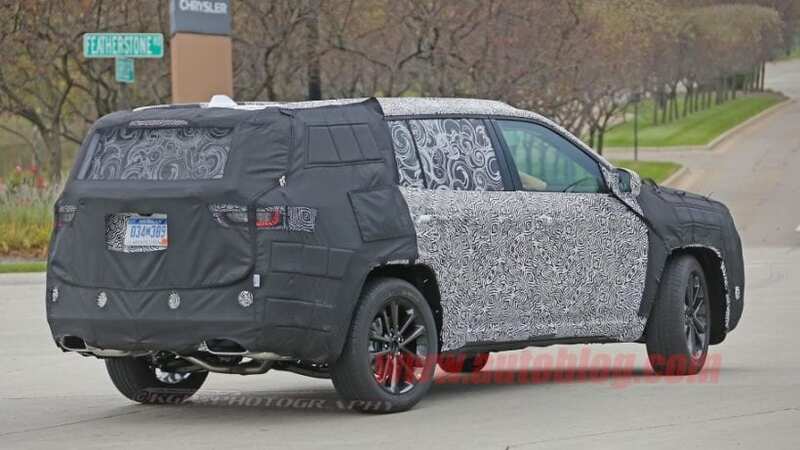 First mules of what’s to be new Grand Wagoneer have been spotted. The rumors that Toledo-based company is working on a three-row SUV have finally started to take shape. During the 2017 Shanghai Auto Show, Jeep revealed Yuntu Concept which served as the preview of what’s to come. The FCA officials claimed that this is just a concept, but test mules look a lot similar to the Yuntu Concept. Despite their claims, Yuntu is strong in this one. The camouflage is heavy, but one look at headlights, taillights, and windows reveals the likeness. 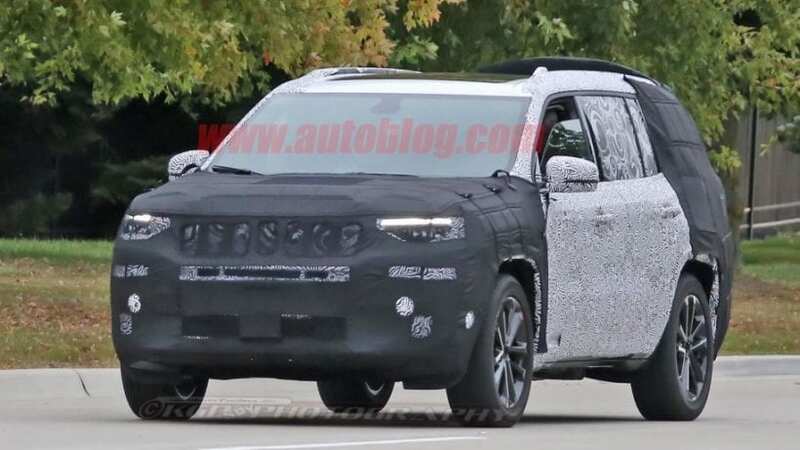 2019 Jeep Grand Wagoneer will sport a new design, which is not present on any of FCA’s vehicles. The wheelbase is long which is a clear indication that we are looking at a future flagship. At the moment we can’t say anything else, but it seems the GW is going to look like a crossover between Dodge Durango and Jeep Cherokee. 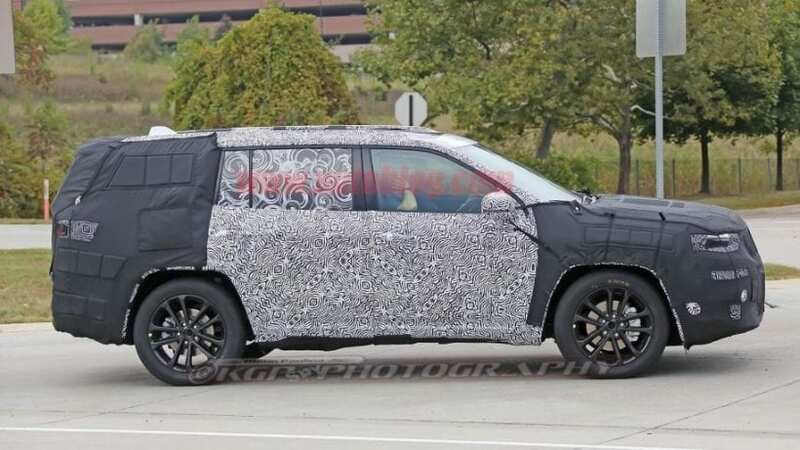 The spy photos don’t reveal the interior, but we also believe that Jeep doesn’t have this part of the new SUV figured out. We expect an upgrade over what Grand Cherokee currently offers. This approach is likely considering which vehicles new Grand Wagoneer will have as competitors. 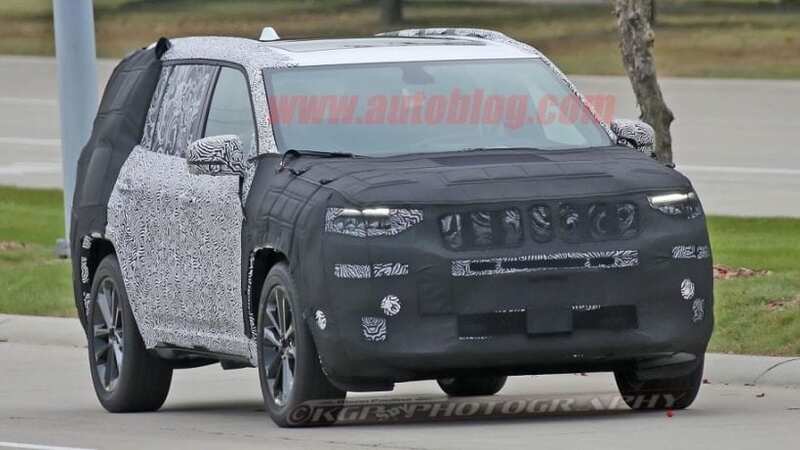 Currently, it is unknown what will 2019 Jeep Grand Wagoneer sport under the hood. It is possible to predict that all models in the lineup will come with a four-wheel drive setup as standard. The power would, at least according to rumors, come from a 3.0-liter V-6 diesel. This goes for base level options. The top tier versions would sport a 6.4-liter V-8 and would probably have an SRT badge. Of course, all of this is still unconfirmed. Some sources even claim that Jeep plans to go “green” with this SUV from the beginning. Stay tuned, as we will update this article as soon new information arises. New Grand Wagoneer won’t come cheap. This vehicle is FCA’s entry card for luxury SUV market, and the cost will be on par with this. Both Wagoneer and larger Grand Wagoneer will go above and over everything else in Jeep’s current lineup. The head honcho of FCA Sergio Marchionne stated back in 2015 that this SUV has one goal, and one goal only, and it’s to dethrone Range Rover. The British flagship starts at $86,600, and for the top of the line version, you need to shell out $171,000. For starters, higher trims of 2019 Jeep Wagoneer won’t start under $100,000. According to Jeep CEO Mike Manley, it will more likely be in the region of $130,000 or $140,000. They don’t believe that this price tag will deter buyers from Jeep’s new flagship. The belief in the Toledo-based company is that their new baby will have what it takes to take on the likes Maserati Levante, Audi Q8, BMW X7, Lincoln Navigator, and the top tier Bentley Bentayga and Rolls-Royce Cullinan. This vehicle will debut in late 2018 or early 2019. There is a huge possibility that it will make its first appearance at 2019 North American Auto Show. This development could change its MY from 2019 to 2020, but as Jeep officials aren’t speaking about the official release date, we’re sticking to 2019. When it arrives, it will make a boom at worldwide markets, but unlike in the 1980s, it won’t have the pond for itself. Some of the models we mentioned above are already on the market while others will be out before Jeep’s flagship arrives. The fierce battle is what awaits 2019 Jeep Grand Wagoneer.